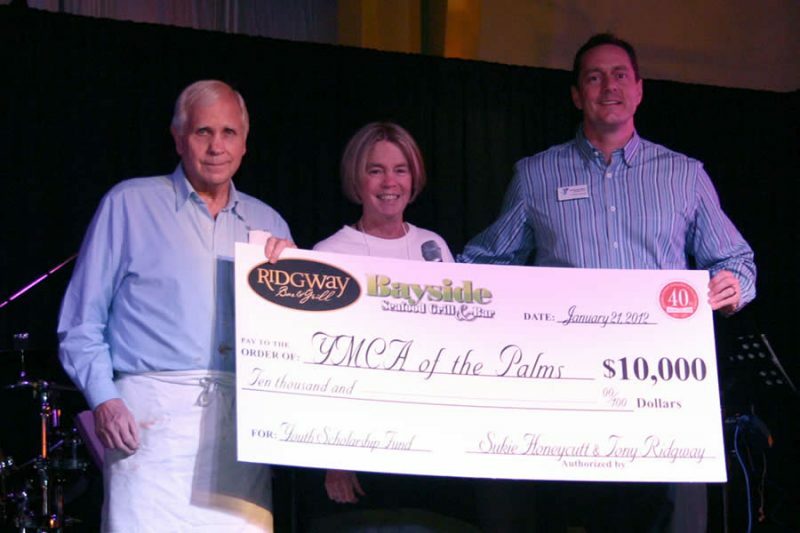 Ridgway Bar & Grill, along with Tony’s Off Third and our sister establishments in Venetian Village, Bayside Seafood Grill & Bar and Sukie’s Wine Shop, are committed to giving back to the Naples community that has been our home for so many decades. Throughout the year, we provide donations to a wide variety of local charities. We believe it is important to be engaged and proactive stewards of our community and would be happy to talk with you about your charitable giving request. We limit our donations to 501(c)(3) organizations. We strongly prioritize organizations based in Naples or Southwest Florida or with a demonstrated impact in our local area. We will give priority to organizations with which our employees, partners, and guests are involved in any capacity. We do not limit the focus of our giving and support a range of charitable causes. We encourage you to send us an email and we will determine if we are able to contribute.